Tillie’s Punctured Romance, released in 1914, marks Mack Sennett’s first feature length film and his biggest Keystone project. 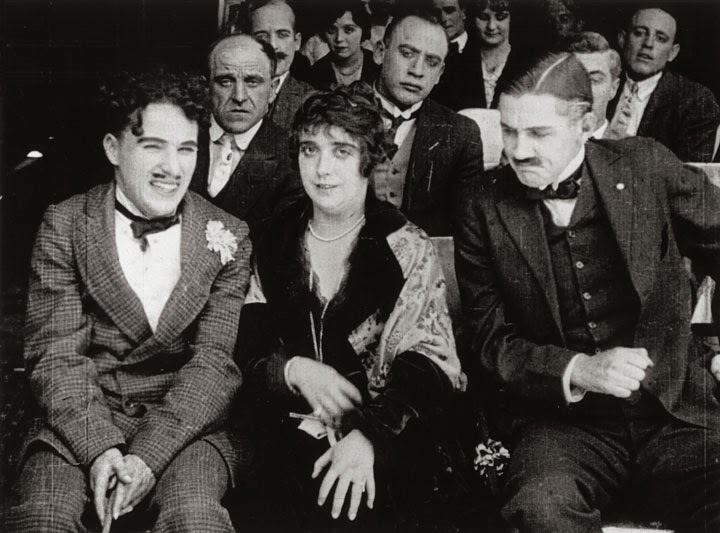 Bringing together all the talent on the Sennett lot—and then some—the movie is also notable as Marie Dressler’s first screen appearance. 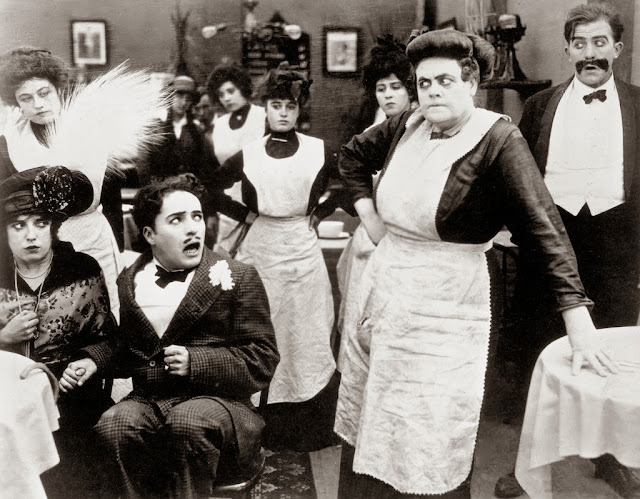 An adaptation of the stage success “Tillie’s Nightmare,” which also starred Dressler, the film tells a conventional tale of a simple country gal (Dressler) who gets swindled by a shark from the big city (played by Charlie Chaplin). “The fetid atmosphere of the wicked city” and the country’s “pure breath of open spaces” are placed in sharp and comedic opposition, while the straight-forward, uncomplicated plot—essentially the material of any one of the director’s shorts stretched out for over an hour—becomes simply a pretext for a series of gags, mounting in rhythm and intensity to a speedy culmination; Sennett, parodying both the melodramas of the time (shades of Griffith’s Way Down East) and a gaggle of intellectual pretensions, lofty sentiments and noble virtues, demonstrates once again that tense melodrama and comedic farce are not that far apart; all it takes is an alteration or exaggeration of character personalities, a scrambling of editing rhythms, and a distortion of events, and seriousness dissolves into laughter. The contrast between audience expectation and reality, between the image the words create and the one presented onscreen creates a highly comedic disconnect. 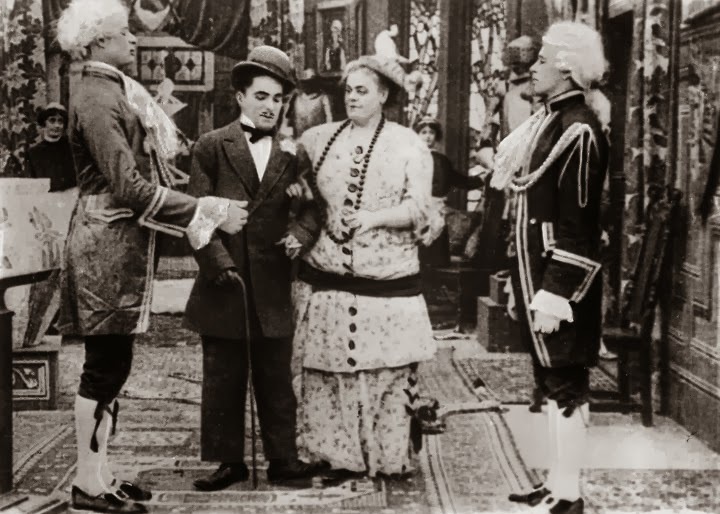 Which is not to say the image would not be funny on its own; Dressler dons an increasingly ridiculous series of elaborate, flowery outfits throughout the film, each one containing at least one enormous bow, and her mannerisms are exactly those of a little girl—a very, very big little girl. The actress’s distinct brand of physical comedy results primarily from her physical appearance and eagerness to make fun of it. The sentimentality and melodramatic nature of the title cards is further exaggerated from what one would expect in a more serious film. We can’t help but laugh when we read that Tillie’s “hitherto untouched girlish heart throbs in the answer to the call of love,” and see the character sway her hips playfully, only to knock her sweetheart down through her massive force—the size difference between the main characters is emphasized in a number of shots. The visual knockabout is senseless and superb, lifted by insistence and inventiveness to the level of poetic fantasy. Chaplin, Mabel Normand, Mack Swain, Hank Mann, Chester Conklin, Al St. John—and even the Keystone Kops in minor roles—all get theirs: they dash, splash, crash, and smash; they’re punched, kicked, and tossed, turned into projectiles and packages whose fates become nothing more than matters of weight, momentum, trajectory, and inertia. The sealed-off, self-contained universe Sennett creates has little to do with reality, except as a sped-up, absurd representation of it, an insult to human and physical laws, gravitational as well as geometric. In the film’s breathless conclusion, the entire cast of characters, accompanied by a division of the Water Police, dive, fall, or get pushed off the pier into the ocean, shot in silhouette in an extreme long shot. A lesser physical comedian might have left it at that, but Sennett repeatedly and rhythmically pulls them out and drops them back in, not unlike tea bags in the hands of someone unsure if they’ve been steeped quite long enough. Click here for a comparison of Sennett's style to that of his biggest competitor, Hal Roach.